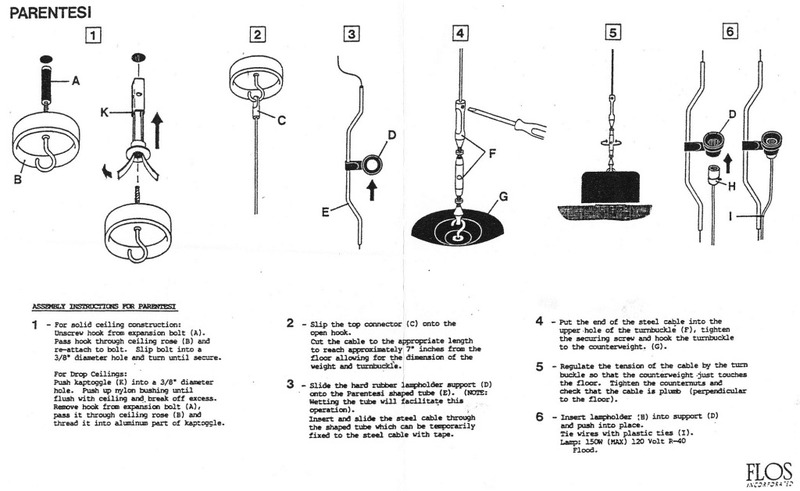 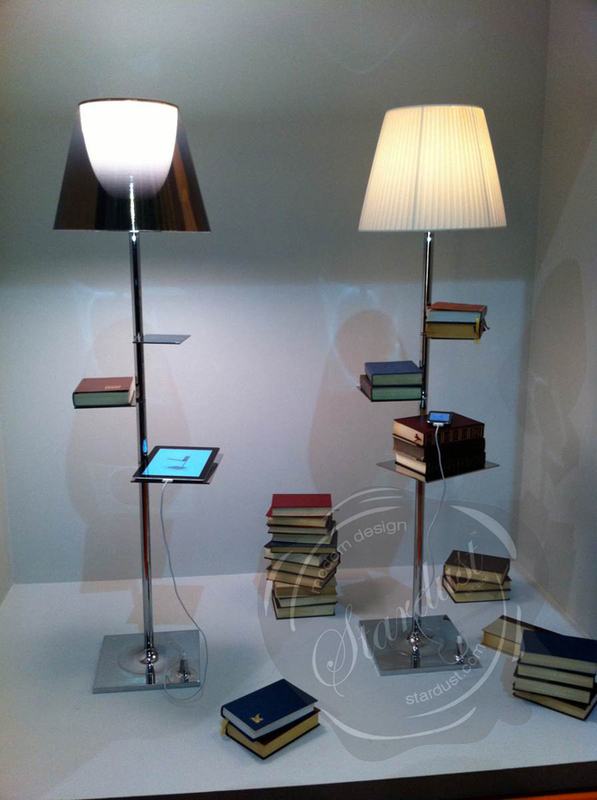 Flos Bibliotheque Nationale Lamp. 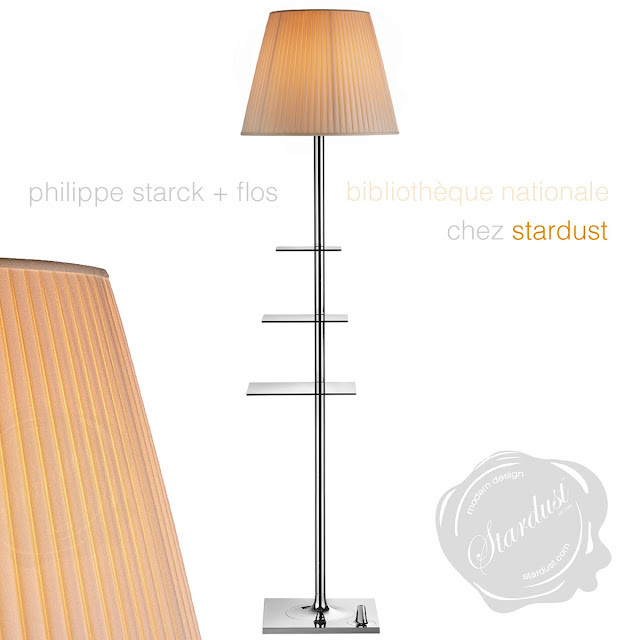 Fall in love with the new Flos Bibliotheque Nationale Floor Lamp by Philippe Starck, a magical bookshelf on which the books rise in flight towards the light from the Flos by Starck collection. With Bibliotheque Nationale, Philippe starck pays homage to the Parisian library 'La Bibliothèque nationale de France', the repository of all that is published in France. 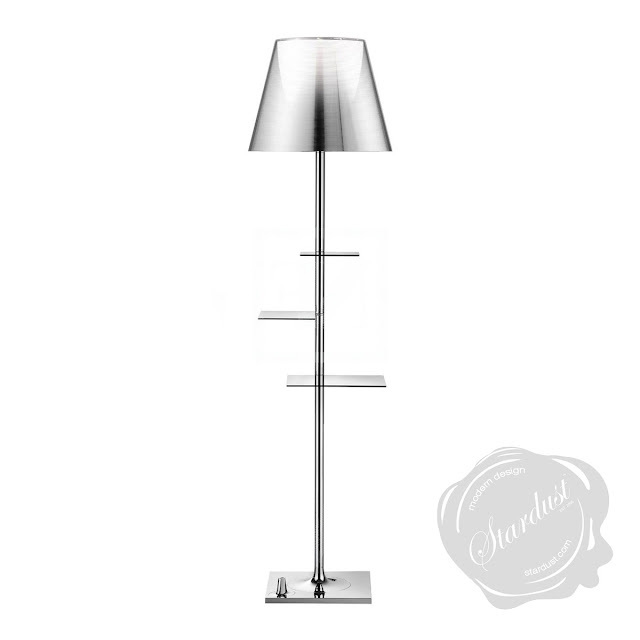 The Bibliotheque Nationale by Flos is a beautiful contemporary modern floor lamp for the home or the office. 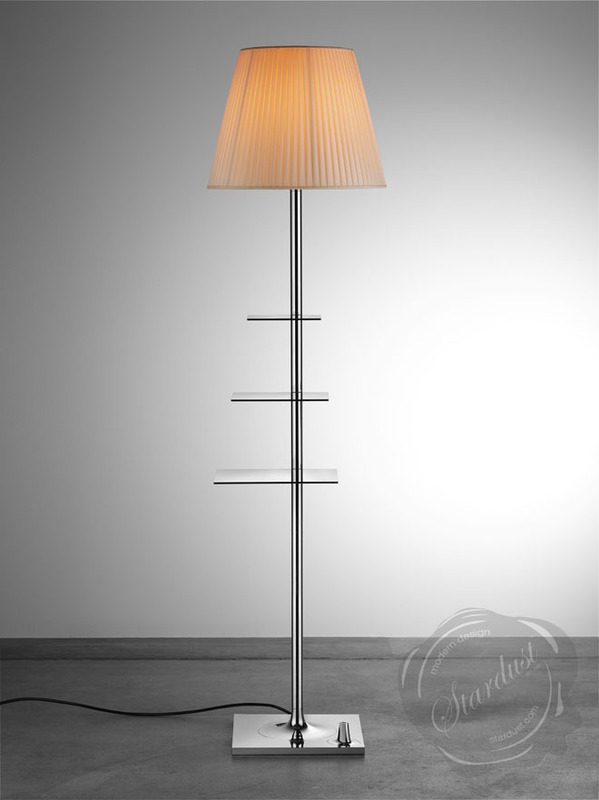 The Bibliotheque Nationale lamp was designed by legendary Italian designer Philippe Starck for Flos in Italy and is a follow up on his classic K-Tribe series of lamps. 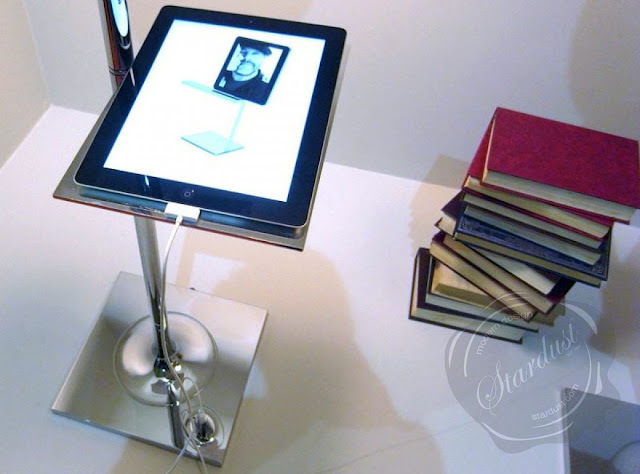 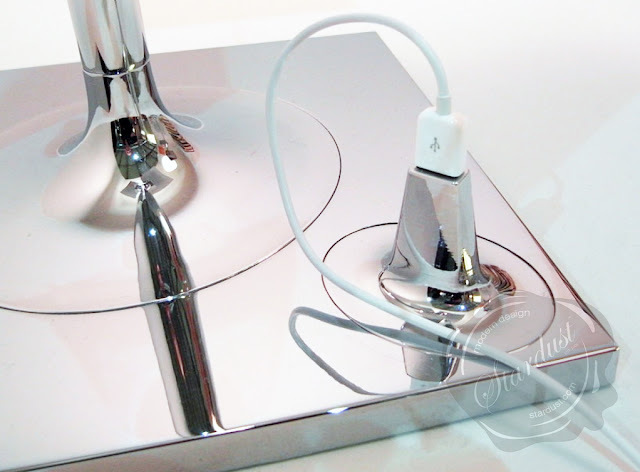 Like the hi-tech product it is, Bibliotheque Nationale is outfitted with a USB port, cleverly placed on its base, and recharges most common electronic gadgets including your smartphone. 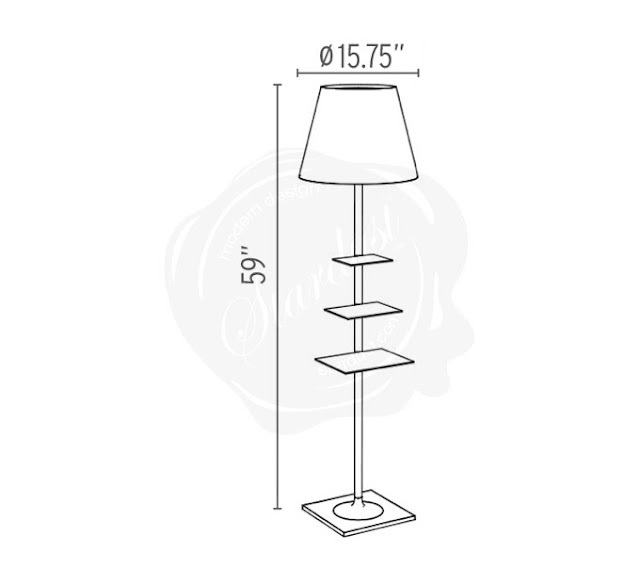 This stylish and sophisticated lamp is perfect for the home or the office and is UL listed. 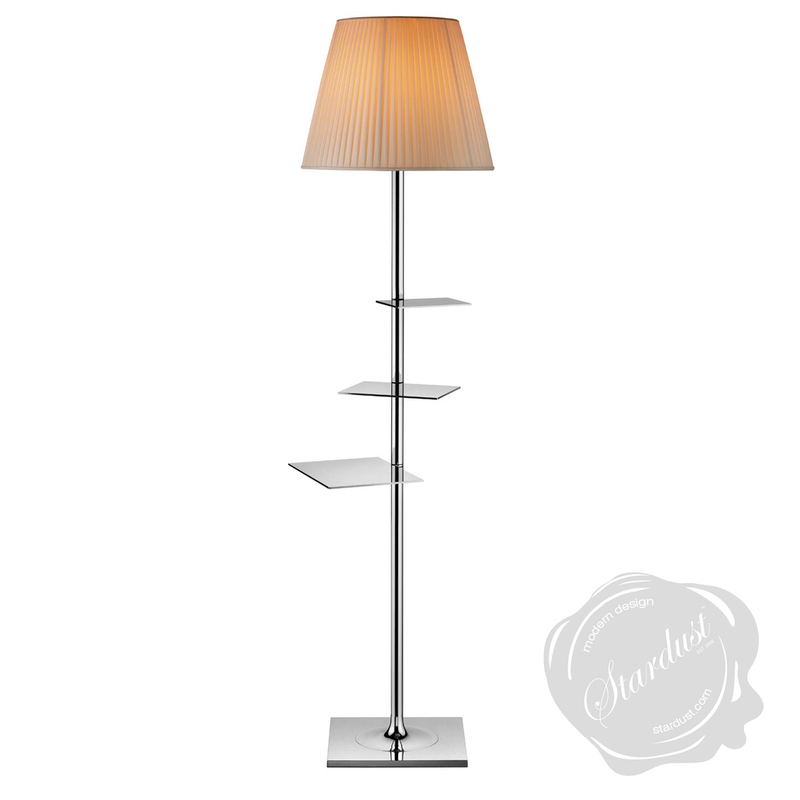 For that extra special glow and sophistication in a room, look no further than Flos Bibliotheque National lamp by Philippe Starck. 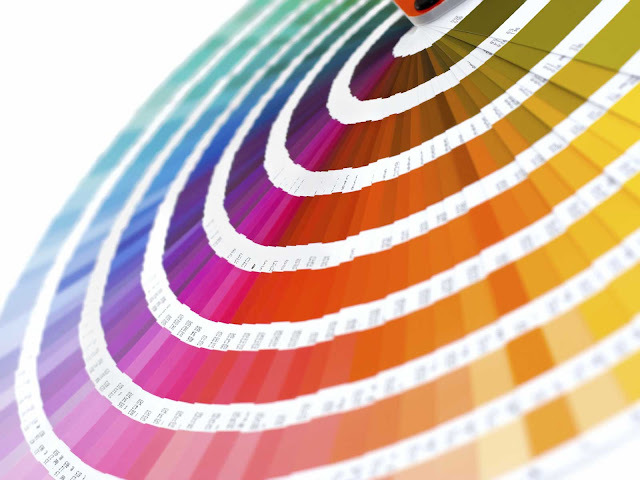 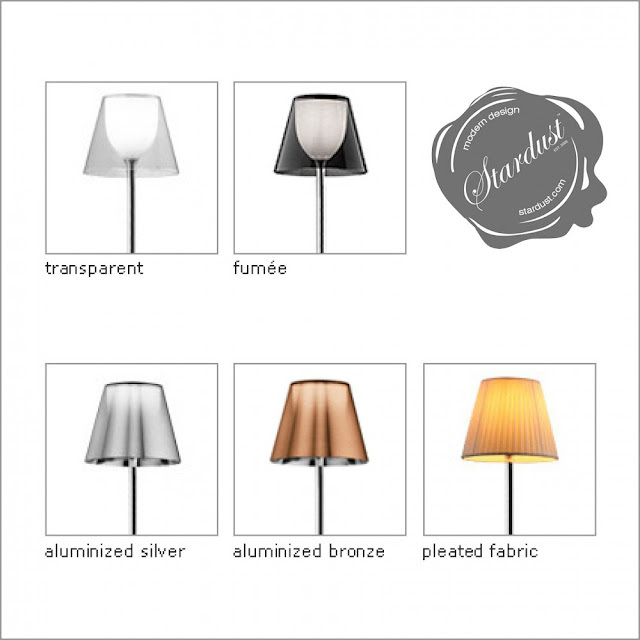 Shade is available in either Transparent, Fumee, Aluminized bronze, Aluminized silver or Plisse Fabric. 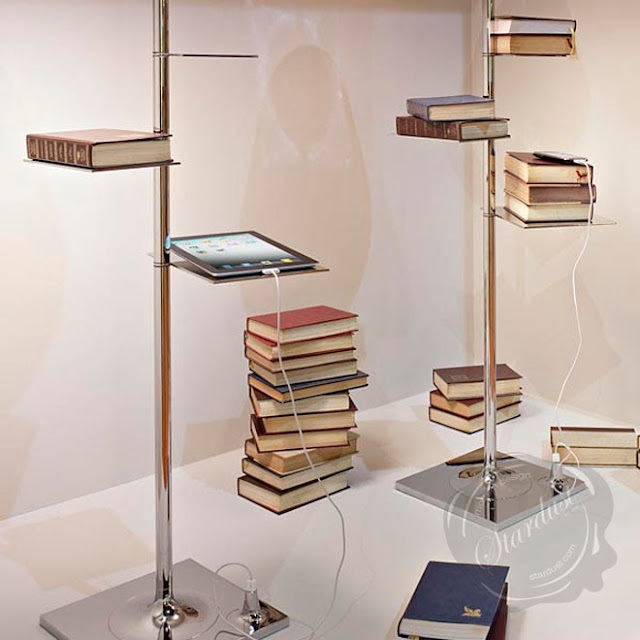 Philippe Starck (in collaboration with Eugene Quitllet) has created two new lamps for Italian lighting brand Flos, 'Bibliotheque Nationale' and 'Net Lamp'. 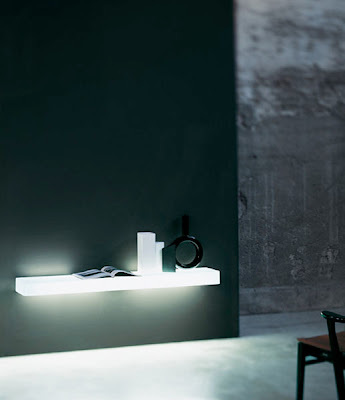 The French designer describes 'Bibliotheque Nationale': 'imagining a fairy tale bookcase where books pirouette and take flight towards the light'. a multi-functional lamp with small shelves for books and other articles, plus an USB connector to recharge ipads or smartphones, Bibliotheque Nationale seems to fulfill our simplest but most fundamental desires...the design should facilitates our daily habits of reading, making telephone calls, networking or just relaxing.